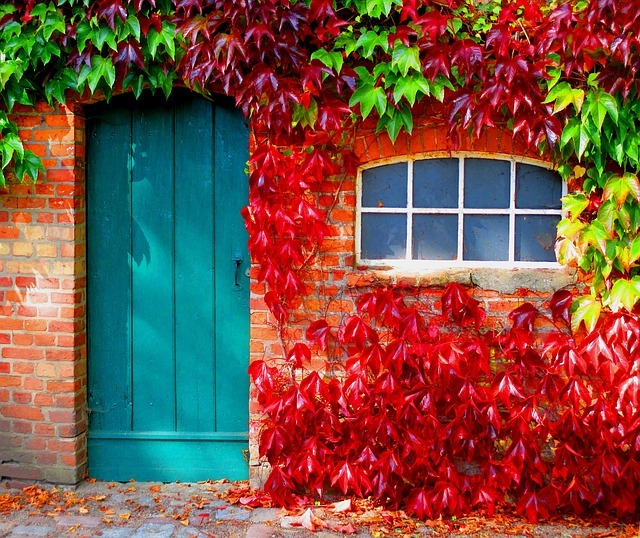 Ever wonder why red doors are a thing? Red doors grab people’s attention; sending the mental signal that we are here, we want your attention, it’s okay to come see us. Ever see a dark, almost spooky doorway entrance. 9 times out of 10, it’s not a dark space at all, it’s the door that shades the space; making it a huge turnoff. Use bright colors to make your entrance more appealing and welcoming. While red is probably the most popular, I’ve seen yellow, purple, and green doors. The color you pick obviously has to tie in with the rest of your exterior, but don’t think you have to stick to the same old red everyone else is using. Even if you do decide to go with red, seek out a shade of red that you haven’t seen before, or that at least no one else on your block is using. The front door should be clearly defined. 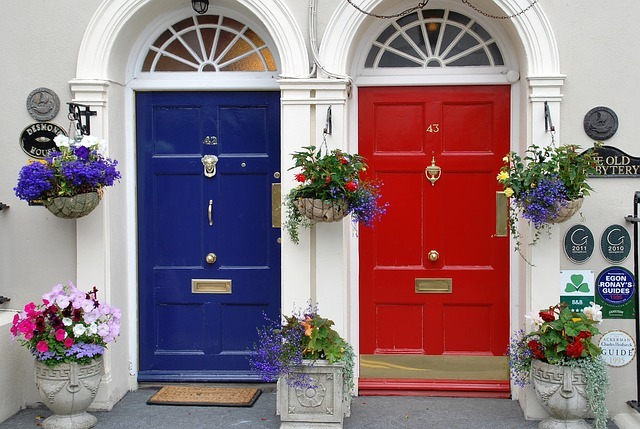 If you have a home with multiple doors that are visible from the front yard, you need to define for your visitors, which is the applicable doors. I once saw a house that had a wrap around porch leading to a side door. Both the front door and the side door were clearly visible, and there were two sets of steps leading up to both doors; making it even harder to determine, which was the most appropriate door to proceed. Take make it even more confusing, cars were parked along the side of the house, giving the impression that the side door was the main door. Make it easy for visitors to determine, which entrance they need to be knocking at to create a more welcoming experience for them. This can be as simple as placing a welcome mat at the door. Your landscaping should also be utilized in leading people to the front door. Form walkways to lead to a single door instead of splitting it to lead to the back, side and front door. Keep them distinct and obvious. Use plants, flowers, and shrubbery to outline the walkway and help people focus on the intended path ahead. Houses with too much clutter or overly done with yard decor can create a distraction and actually hide the true charm of a home. Tall hedges and trees can do the same. In my personal opinion, trees were made for backyards, but if you insist on having them in the front, don’t plant trees that tend to grow to giants. If the house came with a tree, keep it well trimmed; along with any hedges. Avoid screened in porches, which totally block out the view and tend to freak people out. The support beams you use for porches can also be a hindrance if they are too bulky, numerous, or hideous. If you are building your house from scratch, work with your architect to design beams that compliment the home and are not too much of a distraction from the overall house. Keep the number at a minimal; after all, they are there for support more than anything. What beams you do have, make sure they are designed to complement the home by keeping the beam design complementary to the style of the house. Dark and gloomy doesn’t do it. Keep your exterior well lit during the evening to let people know you are haunted. Use light as part of your landscaping to light pathways and highlight features such as ponds, shrubbery, and lawn art. Brightening up doors, effectively leading people to the destination entrance, keeping the house opened up, and well lit are all ways to give your home a welcoming presence. Give your home a look over and see if any of these things are missing. If so, take the necessary action to correct it and prevent from being the creepy house on the block.